This was my first practicum in the fall of 2012. I taught grade one's in Medicine Hat. It was this practicum where I learnt how to provide clear instructions for my students as well as having different assessment strategies for my students. This practicum taught me basic teaching skills that I now habitually use. 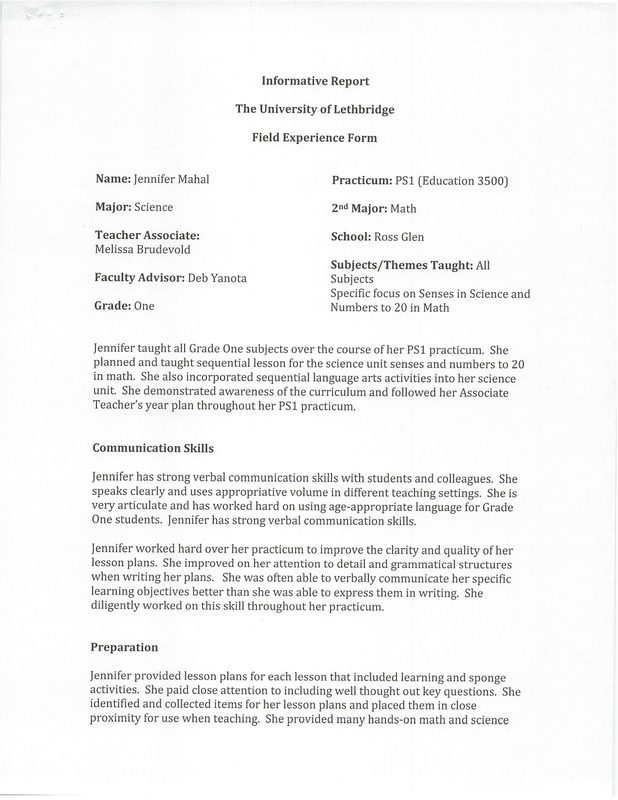 The above document is a report from my teacher assistant regarding my communication, instructional, classroom management and preparation skills in PSI. She included my final recommendation, this document was also signed by my faculty advisor. To me this report illustrates my continuous growth as a teacher in my first practicum.